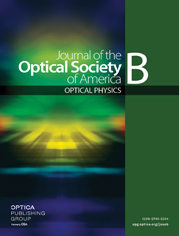 We present a new model for quantum-dot (QD) semiconductor lasers which includes the self-consistent treatment of electrical, optical, and thermal interactions. The approach is developed from the energy balance equation to incorporate the carrier temperature and a three-level rate equation to describe the carrier and photon dynamics within the QD active region operating simultaneously on two longitudinal modes: via ground-state (GS) and first-excited-state (ES) transitions. Using the presented model, the steady-state, small-signal modulation response and transient device characteristics are calculated and analyzed. Similar to the situation of mode competition of laser modes, it is found that the light output power of the GS mode enters the roll-off regime, while the power of the ES mode increases. The model also predicts the negative temperature dependency of the power threshold for the ES mode, which can be understood from the negative temperature-dependent behavior of incomplete clamping of the ES population above the GS threshold. The simulated results are in good agreement with experimental data from the devices reported earlier.